We are pleased to have invited for our inaugural exhibition ten local artists: Thomas Francisco, Jeaninne Honstein, Eve Ingalls, Deborah Land, Marsha Levin-Rojer, Charles McVicker, James “Tex” Mentis, Harry Naar, Paul Pinkman, and Michael Schweigart actively show their work regionally and beyond. 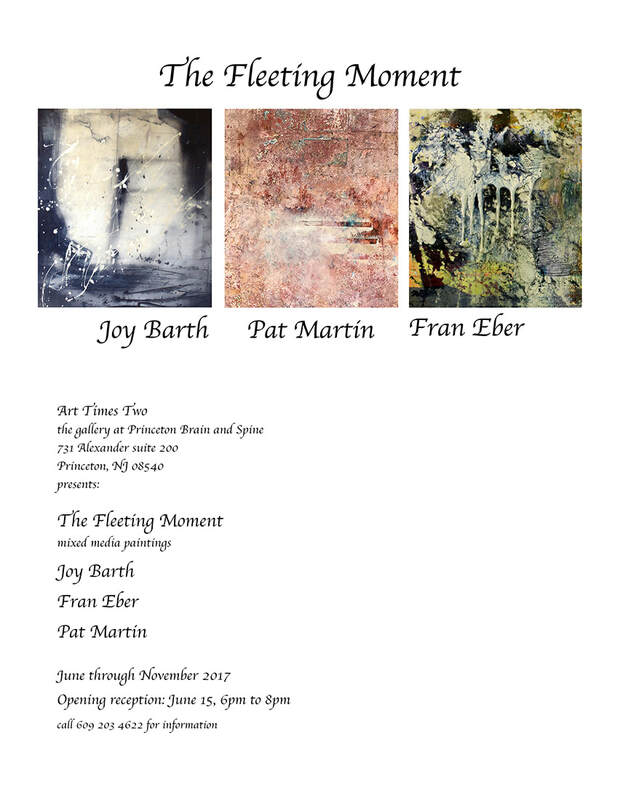 These artists have gathered images far from their local studios, from the mountains of Idaho, the deserts of New Mexico, the coast of Maine, vineyard valleys of France, as well as close to home by the canals, farmlands, and the stretches of undeveloped Pine Barrens of New Jersey. The show’s curator, Madelaine Shellaby, notes that through a wide range of style, medium, and scale, the artists’ common passion for nature undisturbed is evident. Artists Silvere Boureau, Deborah Land, Meg Michael, and Tasha O'Neil exhibited paintings and photographs of flowers. John Franklin, Rory Mahon, and Andrew Wilkinson exhibited paintings, prints and photographs from October 6, 2010 to March 31, 2011. Along with visual physiologists, psychologists, the ancient Greeks, and children of all ages, artists investigate optical illusions and similar visual forms that test the brain’s assessment of pattern and meaning. There is endless intrigue with what certain two-dimensional forms can reveal with a second glance, and with the frisson of surprise that accompanies that revelation. It is this phenomenon of visual resonance that is found in the recent work of artists John Franklin, Rory Mahon and Andrew Wilkinson. Work from the Studio includes work by Princeton area artist/teacher Heather Barros and her students Leah Annito, Julie Cavallaro, Gemma Farrell, Abram Gabriel, Mimi Gabriel, Juliana Karp, Allison Kruse, Ryan Lilienthal, Jen Liu, Betsy Marshall, Helen Mazur, Rose McCarron, Kate Newell, Martha Reinhardt, Gala Rokhinson, Michal Saraf, and Celia Sears. Their work is done in acrylic, oil, watercolor, and pastel. The physical body is rich source material for many artists working today in a wide variety of mediums. 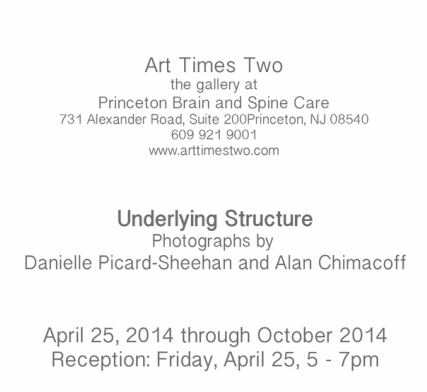 ArtTimesTwo is fortunate to be able to present an array of styles, concerns, and mediums made in response to the brain and spine in the work of four artists. 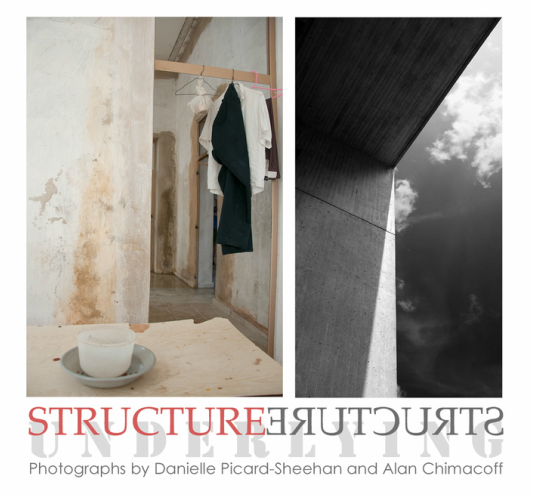 Their differing approaches represent the broad range of possibilities inherent in a single idea. Laura McClanahan, Greg McGarvey, Barbara Osterman and Larry Parsons make their photographs out of widely varying purposes, from different subject matter and with different technical means. Their work is brought together by a particular apprehension of and delight in the formal configurations that occur. Color and compositional dynamics actively positioned can speak more eloquently than simple representations of the world around us. Artists are challenged to comprehend intangible experience by making it visible. 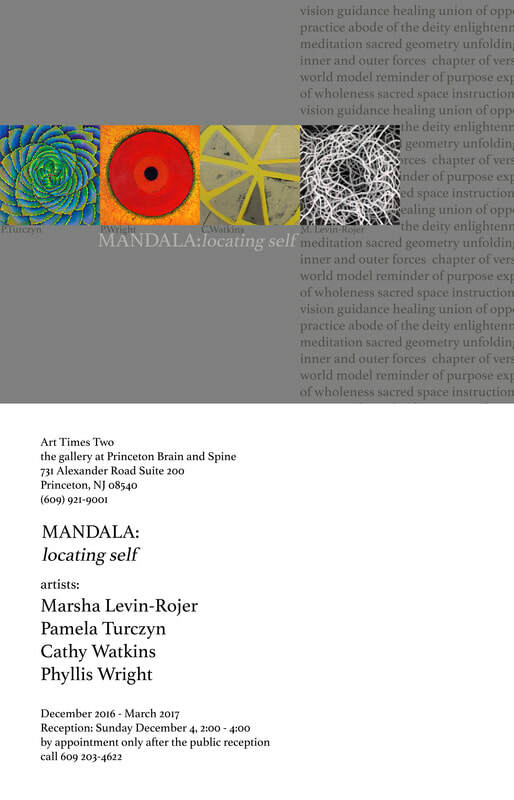 In the show Energy in Mind, at Art Times Two, the gallery at Princeton Brain and Spine, artists Jennifer Cadoff, Debra Weier and Andrew Werth endeavor to picture consciousness. In paintings and drawings, they explore mind/body connections that drive consciousness, perception, thinking, psychology, and the self. Volunteers, doctors, nurses, technicians, translators and facilitators join a wide range of non-profit organizations to serve outlying communities throughout the world where there is no basic health care. They meet great difficulties in terms of medical challenges and obstacles to travel in remote areas to bring technical agency and a generous spirit to those in need. They return home enriched by the compassion that arises from the work they do. Eileen Hohuth-Lemonick and Kris Giacobbe have accompanied medical relief teams in locations far from their home in New Jersey and have brought back stories and photographs that speak of this compassionate work. 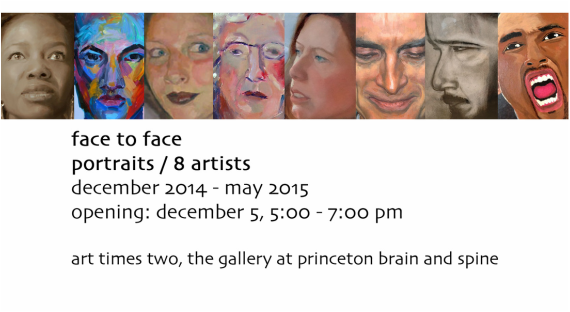 They and their work meet for the first time in this show. 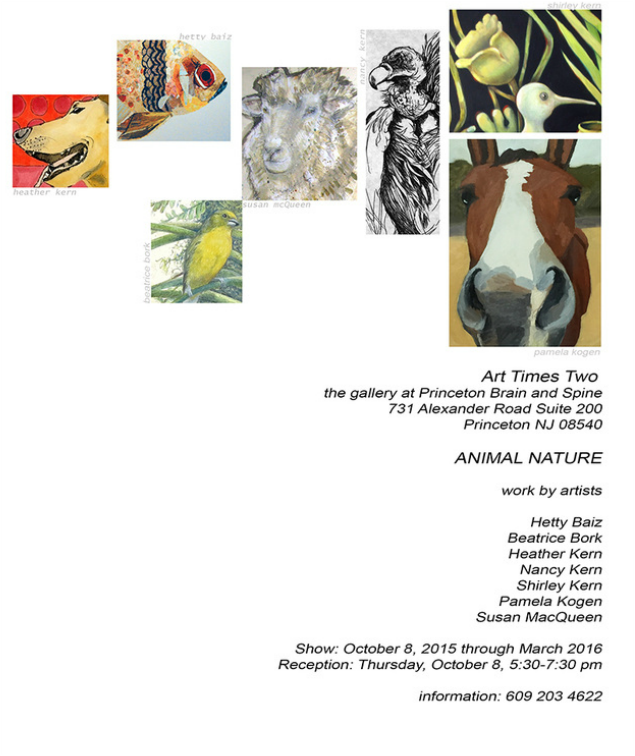 The Art Times Two Gallery at Princeton Brain and Spine is grateful for their work and honored to be able to share it in this exhibition. 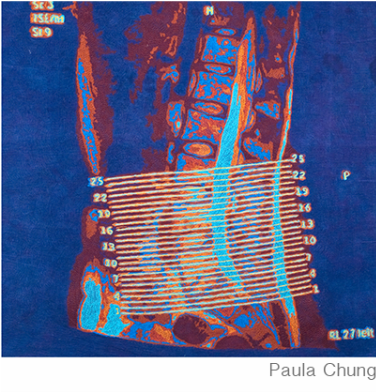 Two California-based artists interpret with a variety of fiber art processes images of the human body from X-rays, PET scans and MRIs.